You are here: Home / Litigation & Dispute Resolution / What Is A Forum Selection Clause? A clause known as a “forum selection clause” is a provision commonly included in written commercial contractual agreements. Its purpose is to embody the contracting parties’ agreement on where a dispute will be litigated. 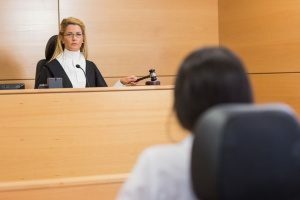 The clause identifies the courts of a specific jurisdiction that will hear and resolve any dispute that arises out of the contract. Along with agreeing on the location, the clause requires the parties to waive any right to litigate in any other forum. Sometimes, the forum selection will be different depending on the party initiating the suit. These are called “asymmetric” forum selection clauses and they may be permissive. A permissive asymmetric clause, for example, could permit only one of the parties to choose between a state court in New York or a state court in Delaware. In the sample clause above, the parties agree that their future disputes arising out of the contract will be governed by the laws of the State of New York. That phrase is a choice of law clause. Contracts that contain a forum selection clause (which identifies where the dispute will be litigated) frequently will also include a choice of law clause (which identifies which law applies). The choice of law clause represents the parties’ agreement as to which state’s laws should apply to govern their dispute resolution. In the case of an international agreement, the choice of law clause will identify which country’s laws should govern their dispute. These provisions are usually found in the “boilerplate” language of the agreement, but that status does not diminish their importance. Forum selection and choice of law clauses help the parties avoid wasteful litigation over which court will have jurisdiction over the parties or the dispute and which law should apply. Most courts will enforce these clauses provided that they were negotiated and agreed to by the parties in good faith. These clauses will often be enforced even if the contract itself is found to be void. Where a solid nexus exists between the parties, the transaction, and the selected forum, the more likely a court will enforce the forum selection clause. Unique circumstances in specific cases may receive different treatment by a court if the court deems the choice of forum creates an unfair burden on one party, for example in the case of disputes between franchisors and franchisees. Other times, a poorly-drafted or ill-considered forum selection clause just creates an additional point of dispute between the parties that will increase their costs and will delay the resolution of the substantive issues in dispute. 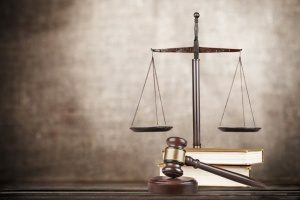 Jurisdiction over most of the parties, property, or witnesses. Special expertise and a reputation for leadership in the contract’s subject matter, such as complex financial matters, international business transactions, agriculture, and so on. Special purpose, such as arbitration and mediation. Any other reasonable basis agreed upon in good faith by the parties. A forum selection clause should be included in every well-drafted agreement. 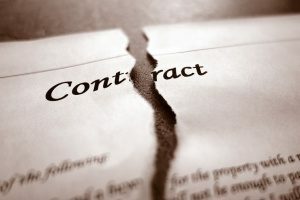 Omitting it can create significant problems for you in the event of a contract dispute. Expect that the forum selection clause selects a location that is distant and inconvenient for whichever party did not draft the agreement. The reason for this is clear: You are less likely to initiate litigation in a distant location where you will incur increased costs and use more of your valuable time. Additionally, you will likely have to retain local counsel who does not know you and will have a steeper learning curve, adding to your expense. When you agree to a forum selection clause, you typically give the other party the home court advantage. In such a case, the forum selection clause will deter you from seeking a remedy in the event of a dispute. Wasteful delays and use of resources litigating over collateral issues such as which court should hear the matter. Litigating in a forum that is hostile to your position as to choice of law and/or on the merits of your case. Legal representation that lacks the expertise necessary for you to prevail. Eliminating the opportunity to submit your dispute to less costly and more efficient alternative dispute resolution procedures before traditional litigation. Before you agree to anything in writing, you should anticipate the real possibility that a dispute can arise later. Protect yourself against excessive litigation costs before you sign anything by consulting with an attorney who is experienced in contract strategy, litigation, and dispute resolution. The attorney can review your documents and help make sure your contract positions you to get the full benefit of your bargain and your rights are protected.